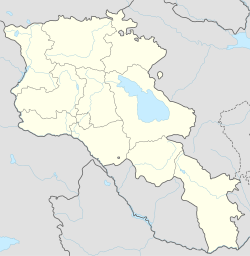 Kajaran (Armenie: Քաջարան; Romanizit as Kajarants, K’ajarants’, Kadjaran, an K’ajaran an aw) is a veelage an rural commonty (municipality) in the Syunik Province o Armenie. The Naitional Statistical Service o the Republic o Armenie (ARMSTAT) reportit its population wis 212 in 2010, doun frae 223 at the 2001 census. This page wis last eeditit on 11 Mairch 2018, at 00:11.